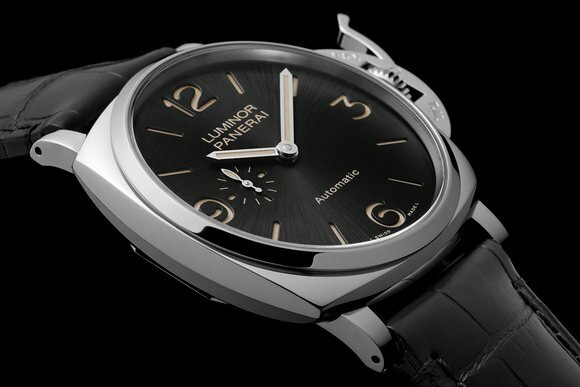 Last week in Florence, Panerai — with roots in that city — unveiled the all-new Luminor Due.The line features an all-new case that, while inspired by the classic Luminor of the 1950’s, offers updated appeal. Details such as thickness of case were changed — making the case slimmer and lighter in weight. Additionally, all of the models are powered by either a hand-wound P1000 movement or by an automatic caliber with three days of power reserve. The Due series is not a dive watch line; instead, the watches are water resistant to 30 meters. 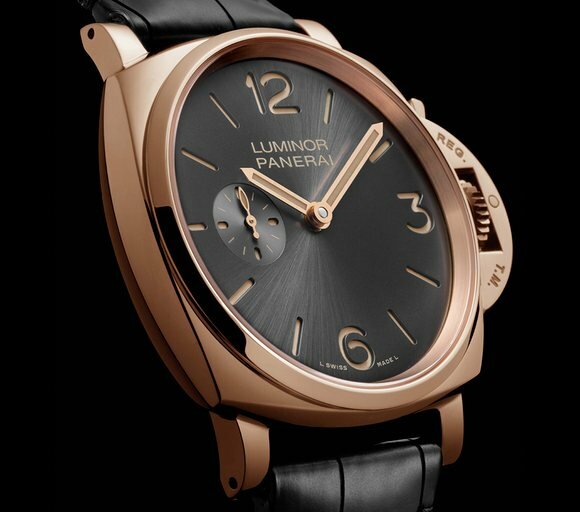 Among the timepieces making their debut: the 42mm hand-wind Luminor Due 3 Days Acciaio, measuring 10.5mm thin and offered in steel or rose gold and retailing for $10,700 in steel and $25,600 in gold; the automatic Due, also in gold or steel, but in a larger, 45mm size.